Kayla touches the hearts and minds of teenagers as she openly shares her story of addiction in high school . . .a powerful learning; a story of hope for others. When Kayla speaks at high schools, she often looks out into the audience and sees herself sitting in one of the seats in the auditorium. The audience, like Kayla, can also see a bit of themselves in her too - it is easy, because Kayla is only 20 years old and sat in those very same seats just a short time ago. Kayla is one of our young recovery speakers. She is very "relatable" to other teens and does not lecture or give statistics when she speaks to students. Instead, Kayla openly shares her unbelievable story of drug use that started in 8th grade and quickly escalated to heroin in high school. This is Kayla's story, but yet it could be anyone's. Kayla was at one time a straight A student, a member of the field hockey team and a peer mediator at her school. She had a loving family, lived in an upper middle class neighborhood in South Jersey, vacationed at Disney World and had the distinct privilege of riding and owning her own horse. Drug use changes things quickly. Kayla recounts the many harsh details of her story which starts with some initial bad decision making early her freshman year of high school and quickly ends up with Kayla in full blown addiction by the time she was just 15 years old. She reveals the many places that addiction took her, including ultimately being homeless and on the streets. Kayla's candid recollection of her life changing experiences and her travels into dark places definitely impacts others. For Kayla, it is always tough to relive, but she speaks with the hope of reaching one or more teens. Kayla will sometimes share the school auditorium with another young person in recovery, but often, it is with her mother, Tracy Smith, Founder of Speakers for Change. They together present a remarkable mother-daughter perspective on both addiction and recovery that most will never forget. 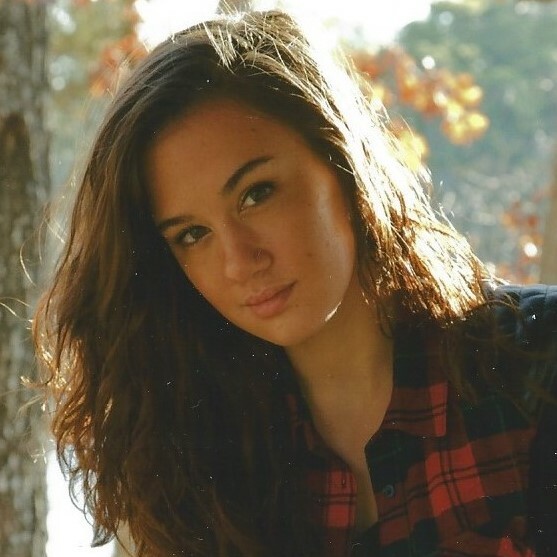 In 2014, Kayla received "The Greatest Transformation" award and scholarship when she finally graduated from Cedar Creek High School in NJ clean and sober. She had attended four different high schools in her addiction. The speech that was read that day at the award presentation triggered many tears. Kayla is now attending college working towards a degree in social work and is employed part time as a recovery support specialist at a sober living and treatment facility for women. Kayla lives at home with her family along with her many favorite pets. She is really happy these days. Kayla loves her friends and family, and is proud to be an individual in recovery helping others. This is an impactful school prevention program for middle and high school students. Valuable information is presented along with amazing testimony from Kayla on decisions, addiction and recovery. There are varieties of this presentation that are catered towards parents and also for special events such as incoming Freshman Orientation, Red Ribbon Week, Pre-Prom, Project Prom and Graduation. This is a riveting account of Kayla's and her mother, Tracy's true life journey with addiction in the family. It is a compelling story of a family, and of a mother and a daughter that ends with hope and life instead of heartbreak and death. This Mother / Daughter perspective on addiction and recovery is eye opening and unforgettable. The presentation is meant to inspire, educate, and provide hope. Kayla attended four different high schools, a multitude of rehabs, and other institutions as a teenager in active addiction. She relapsed multiple times before she was able to attain and maintain recovery. Kayla openly shares her gritty true life experiences as a clear case for the need for recovery high schools. Kayla's mother, Tracy, a long time advocate for recovery services, and Founder of Speakers for Change, joins Kayla in this compelling discussion for the need and know how to open recovery high schools.